The famed Batman writer and editor talks not just the origins of the seminal work, but about working with Frank Miller as a storyteller. For the complete DENNY O’NEIL INTERVIEWS INDEX of stories, click here. With Gotham premiering tonight (9/22) on FOX, now seemed the time to run this installment of The DENNY O’NEIL INTERVIEWS. 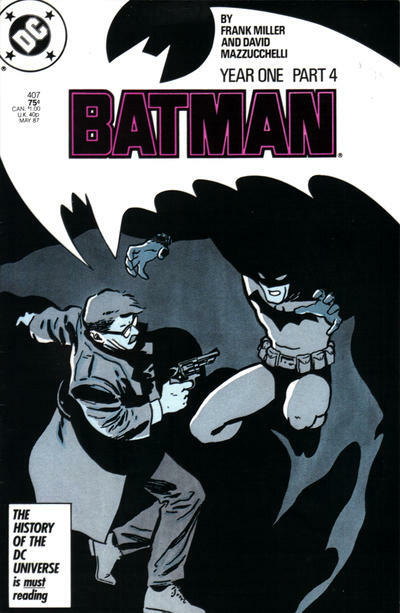 The show’s protagonist is a young Jim Gordon and while the two stories are far apart, you can definitely see the DNA of Batman: Year One in the pilot, right down to a character named Essen. That’s not what was on my mind when I spoke to O’Neil for this series of interviews. 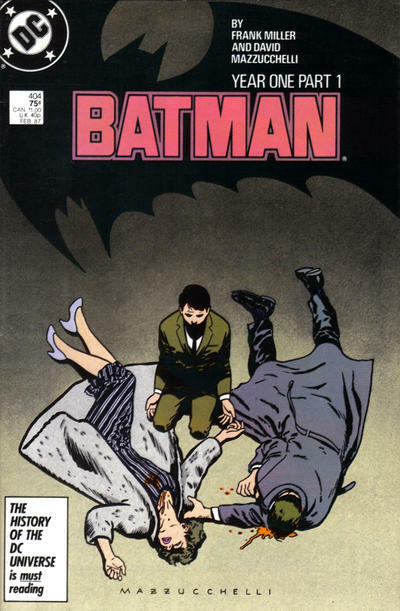 But the show’s debut (check out my review here) seemed like a good time to talk about one of the two or three greatest Batman stories ever told. We didn’t get into a panel-by-panel breakdown but we did discuss the nature of creativity and collaboration. I have heard that one of the two Bat-titles was in danger. So whatever my predecessor was doing, the powers that be did not think it was working. So I edited about seven comics when I took this over. It was not a full-time job but it became a full-time job. I thought, like, when I took over writing Batman for the first time, if the parameters of the job are that what we’re doing is not working, what can we do? I thought, I have to send a message to the audience. 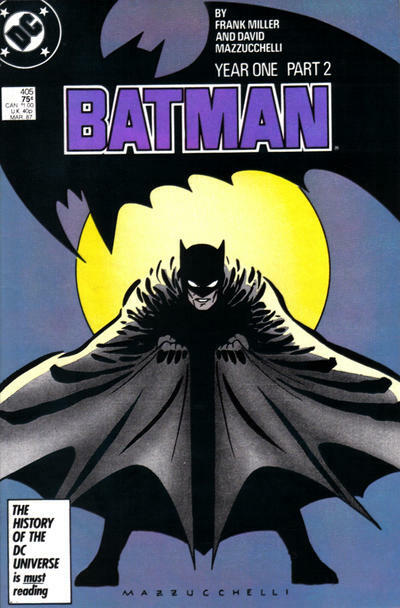 I was on very good terms with Frank Miller and, because of that, I heard that he and Dave Mazzucchelli were doing a Batman graphic novel. I talked it over with Frank one day walking around a lake in L.A. and I talked him and Dave (Mazzucchelli) into letting me serialize it as a comic book — four issues of a comic book. They weren’t going to lose anything on this. I got them a contract that guaranteed publication I think within 6 months. Hardcover publication. And all the bells and whistles you can add to a contract like that. And yeah, it did exactly what I wanted it to do. It sent that message: We are doing something different. And I even wrote a house ad. This is not your father’s Batman. And off we went. Let me quickly hop, here. My blank mind just unblanked. You asked about working with artists (earlier). I’ve done it twice. 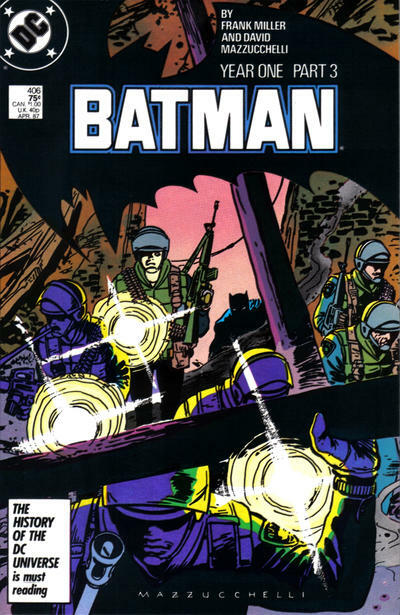 Actually, in the way that you mean it, the way that guys now do it … not with Jim Aparo, with Frank. He was my surrogate son for a while. I had much better luck with my real child and stepchildren than my various surrogates, though I’m on very good terms with all of them, including Frank. But we hung around a lot. He lived in the Village, I lived in the Village. He’s one of the few people I’ve ever known where I could walk around for hours and talk about the business. Not about the gossip but about the storytelling. So with a Spider-Man annual that we did, Frank and I met for lunch 2 or 3 times a week. Or we went to this barbecue joint on 9th Avenue that we both loved —Smokey’s — and talked out the story almost panel for panel. That’s a very satisfying way to work but most of the time it’s not practical. So comic books had always been done script, artist, and get your nose out of my business. The editors had their own problems. I think I did two, possibly three stories with Frank like that. It’s a very good way to work if the parties are sympatico and they can agree on what the work is supposed to be. And if they get along personally. Most of the great comic-book partnerships fall apart after a while because somebody gets angry at somebody else, somebody’s jealous, somebody feels they’re being cheated. I’m especially not going to mention any names in this context but you can probably fill in the blanks yourself. And it’s the same in show business. Denny: Music’s a VERY good example. The tensions become unbearable after a while.